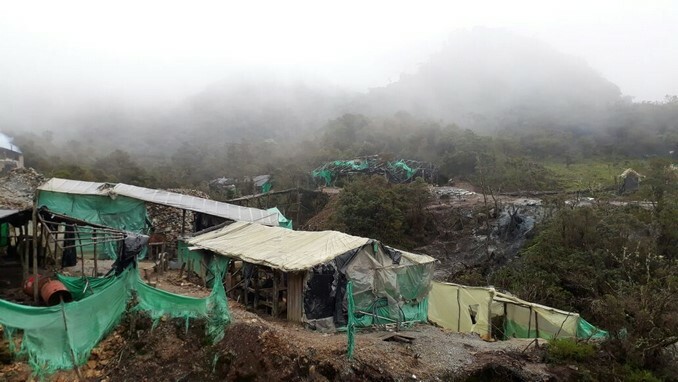 Colombian authorities destroy highest illegal gold mine at Alto de Toche. Photo by the Colombian Air Force. 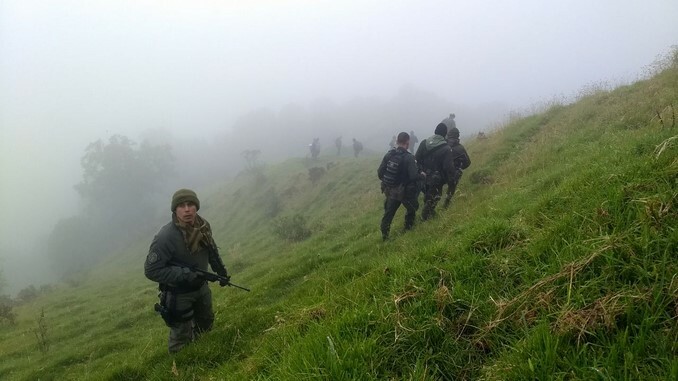 Following months of intense training to be able to do a 48-hour hike up a 2,800-metre mountain, 60 officers from the Ibagué Metropolitan Police were able to reach and dismantle Colombia’s highest illegal gold mine. The 60-hectare site, the largest found in the region to date, was located at Ibagué city’s Alto de Toche jurisdiction, in the western Tolima department. 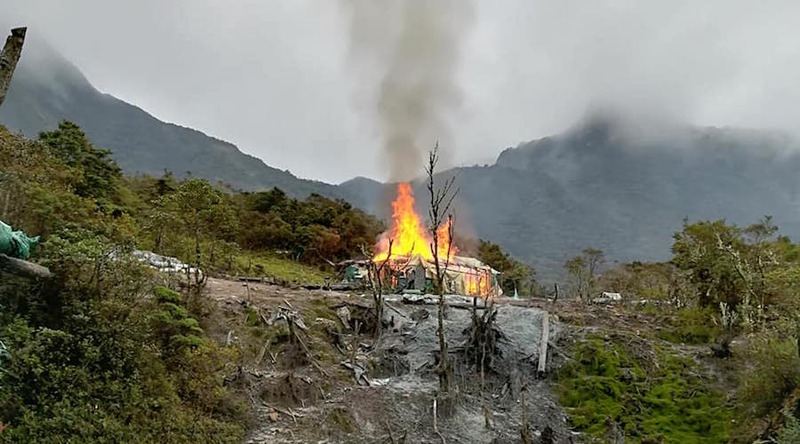 The place is a paramo-forest reserve and the illegal operations happening there were polluting the soil and three rivers that provide drinking water to nearby towns. 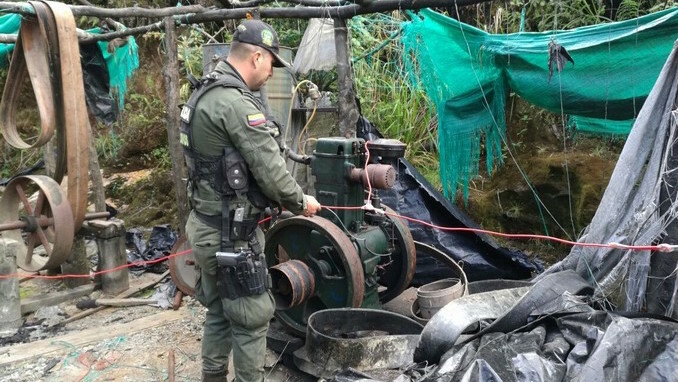 “Besides affecting the flora and fauna in the area, the groups operating there were producing almost 10,000 grams of gold every week, worth almost $265,000 or $1.12 million per month,” said Jorge Morales, chief of the Ibagué Metropolitan Police, in a statement (in Spanish). Morales’ team operation was backed by the Colombian Air Force, the Office of the Attorney General and the local mayor. Illegal machinery, such as crushers, diesel engines, granulators, pulley systems, and even tailings ponds, all of which was valued at almost $1 million, was destroyed. Apparently, people working at the mine were warned about the police operation, as authorities were not able to find or detain anyone. They believe, however, that activities there were being carried out by a criminal organization with headquarters in a different part of the country. Photo by the Colombian Air Force.